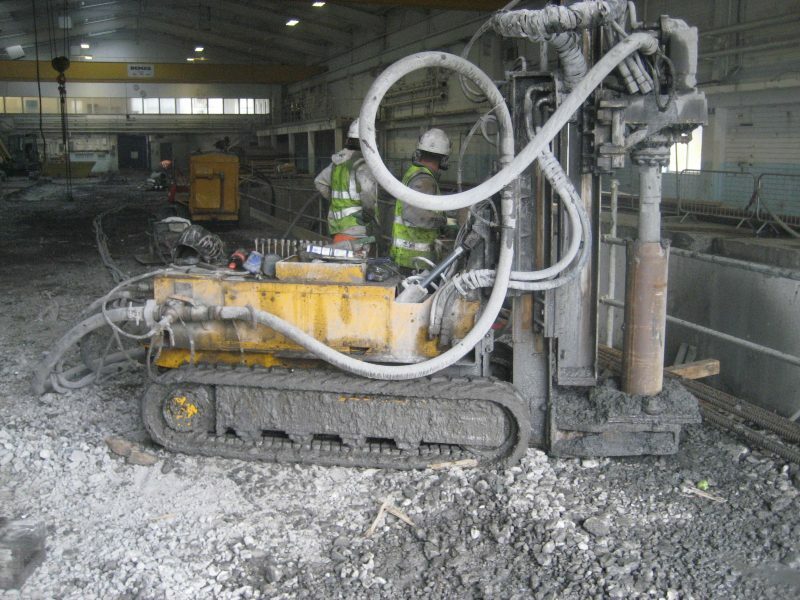 AGL Consulting carried out the design of micropiles on behalf of Walls Construction / TJ O’Connor & Associates for the refurbishment of the existing press hall and post synthesis area of the Element Six synthetic industrial diamond manufacturing facility in Shannon Industrial Estate, Co. Clare. The mircopiles were required to support 3 No. 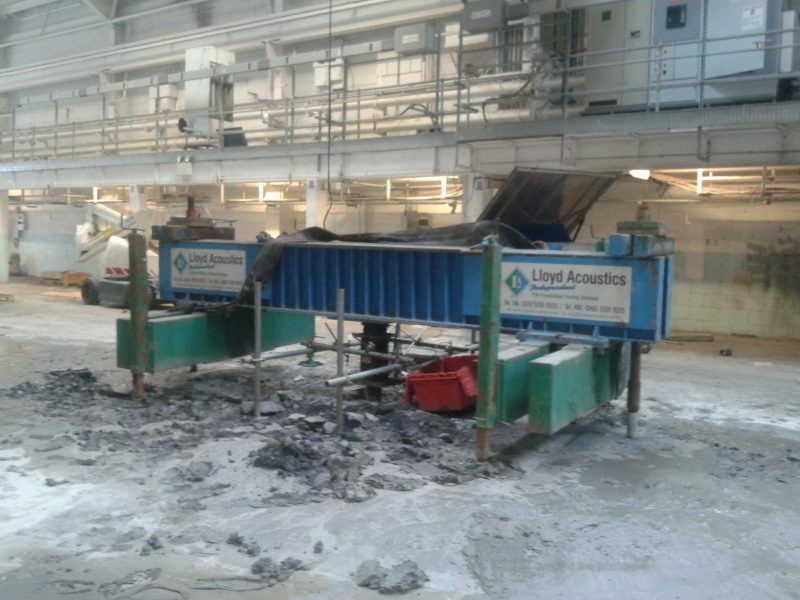 synthetic diamond press pits and a reinforced concrete suspended ground floor slab. 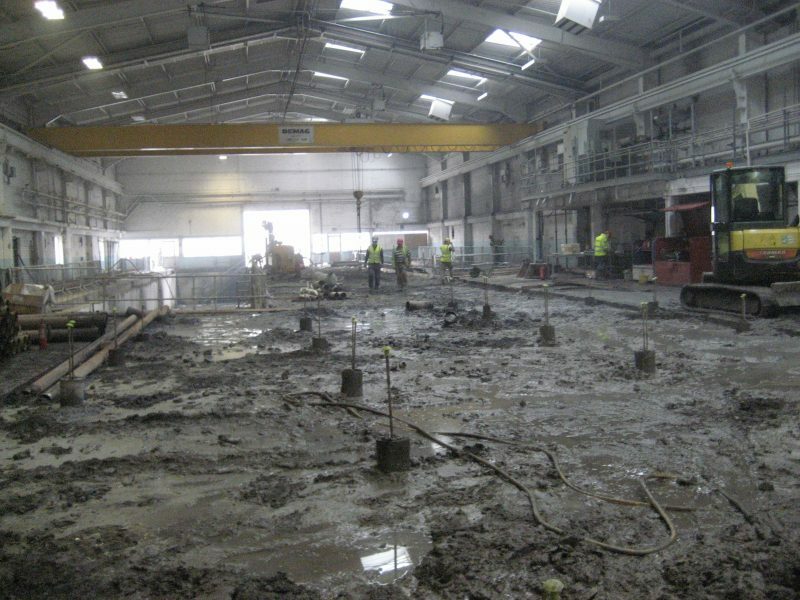 The works were required to be carried out within an existing warehouse with restricted headroom. The ground conditions comprised a thin layer of made ground over 6m of very soft organic soils (organic estuarine silt and peat) over Limestone bedrock. The Limestone was found to be karstified, with significant local variation in the depth to rockhead. The Engineer’s Specification required very tight settlement tolerences for the piles, which was =5mm for the press pit piles and =7.5mm for the slab piles, with characteristic loads of up to 670 kN/pile. 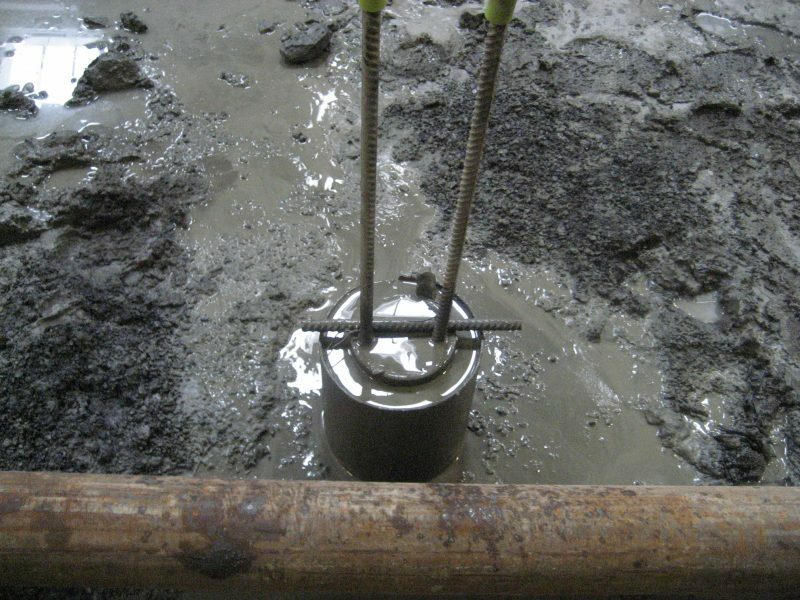 The micropiles comprised a 220mm diameter Odex drilled pile with a permanent steel outer casing drilled to the top of competent rock with an uncased rock socket drilled thereafter. The pile reinforcement comprised an inner full length CHS. A trial piling contract was carried out in advance of the contract permanent piles and AGL advised the Engineer, TJ O’Connor & Associates at this stage. This allowed the pile performance and constructability to be verified in advance of the main contract. Flexural buckling for the small diameter piles within significant depths of very soft soils with large axial loads was a significant consideration. 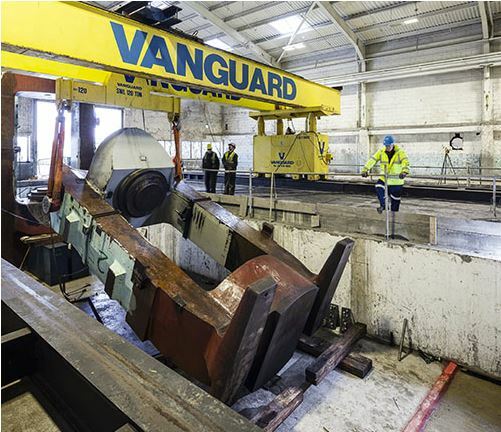 Design verification of the contract piles comprised a combination of static and dynamic load testing.